Scarborough and Whitby MP Robert Goodwill was appointed as Farming and Fisheries Minister last month. Picture by Gary Longbottom. A letter co-signed by an influential group of food and farming figureheads from across the region, and the chairman of the York, North Yorkshire and East Riding Local Enterprise Partnership, David Kerfoot, spells out why the new collaborative regional initiative Grow Yorkshire, and the region it serves, is worthy of central government backing. 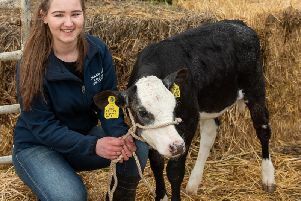 The agricultural sector already makes a £438m contribution to the York, North Yorkshire and East Riding economy alone but Grow Yorkshire backers believe there is great potential for businesses to seek greater profitability. Writing to Mr Goodwill, who is also MP for Scarborough and Whitby, the group say: “Our farming community is facing the most fundamental changes to the business environment it operates in for generations. Despite this, it is our belief that times of change and challenge bring opportunity. The letter continues: “Farming is central to the economic, environmental and social fabric of our great county of Yorkshire. The Yorkshire Agricultural Society, National Farmers’ Union (NFU), Country Land and Business Association and regional food group Deliciously Yorkshire are among the more than 30 organisations and businesses committed to delivering business support through Grow Yorkshire. Grow Yorkshire’s immediate priorities are to offer practical business planning support to farmers; get clarity from the Government on what farmers and landowners stand to earn from providing “public goods” such as environmental improvements, as set out in the Government’s latest future farming policy papers; supporting farm businesses and households to manage change and business succession, and enabling farmers to become more innovative. A dedicated Grow Yorkshire website will act as a hub where farmers and other businesses can find information and access support, including training and funding. Responding to the letter, Mr Goodwill said: “I am delighted to welcome the new Grow Yorkshire initiative. Our vision at Defra is for increased collaboration among farmers and land managers, where Government and the farming industry provide advice, guidance and support to ensure that farmers can innovate and adapt to produce more food while protecting the environment. “Initiatives like this provide farmers with opportunities to transform their business into one that is more competitive, productive and resilient, providing the support to drive change. Outside of the CAP, when our own domestic farming policy becomes law, this will be supported by more funding for innovation, research and development and sustainable farming."